The final stretch of the season is finally here for the Maroons and the squad will be playing up to six games in a week. This is no easy task for a student-athlete going to one of the most prestigious schools in the country. However, thus far, UChicago has been up to the challenge, winning two games this week. On Tuesday they drummed No. 12 North Central 14­­–6 and on Wednesday they squeaked by Dominican 3–1. The week is still not over as the South Siders will play against St. Norbert on Friday and on Saturday. Then, UChicago will finish up its weekend by playing a doubleheader at Edgewood on Sunday. This past Tuesday, the Maroons finally found their stride offensively. The squad brought in 14 runs, the highest in a game this season by UChicago. It seemed like the team was making contact with any pitch thrown its way. A couple stand out players were third-years Ryan Krob and Nicholas Toomey, who both drove in four runs each. This victory is even more impressive because North Central is one of the best teams in the country. The No. 12 Cardinals came into the game on Tuesday with a record of 26–6, and are the first ranked opponent that UChicago has beaten this year. Following the win on Tuesday, the Maroons traveled to Dominican on Wednesday. The result was the same. UChicago was victorious, but they won in a much different fashion. They won in a 3–1 pitching duel. First-year Brenton Villasenor was phenomenal on the mound. Villasenor threw seven innings, allowed one run and struck out seven batters. Whether it is the hitting they had Tuesday, the pitching they had Wednesday, or both, the Maroons will need to bring it if they want to keep winning this weekend. On Friday and Saturday they will play against St. Norbert at home. UChicago comes into the game with a record of 15–14, and St. Norbert has a record of 17–12. This should be a pretty fair match up for the South Siders if they play their best brand of baseball. 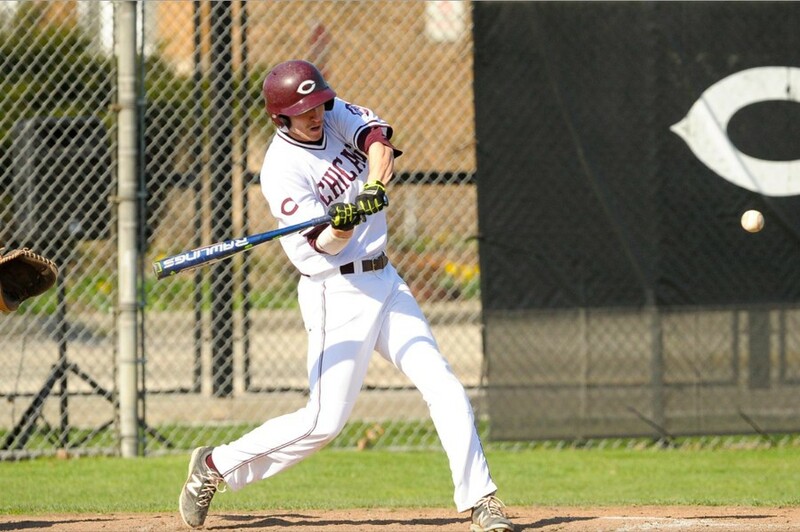 On Sunday, UChicago hits the road for Edgewood where they will play a doubleheader. Edgewood comes into the weekend with a record of 14–20. The biggest factor in this doubleheader will definitely be fatigue for UChicago. These will be games five and six on the week and the pitching staff will certainly be stretched thin. On Friday, the Maroons will play against St. Norbert at 3 p.m. on Stagg Field. Then on Saturday, UChicago will meet St. Norbert at 12 p.m. on Stagg. On Sunday, the Maroons will face off against Edgewood at 1 p.m. and 4 p.m. After this weekend, the South Siders’ next opponent will be Chicago State on the following Wednesday.